The latest buzz word in tech these days is OTT, over-the-top content, usually referring to streaming video. 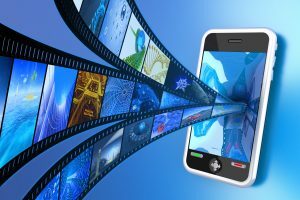 FierceCable mentioned a new OpenWave Mobility report that came out recently showing that 38% of all mobile Internet traffic is HD video, and the number is growing. Services like YouTube and Netflix are sourced as the reason for this jump up from only 5.7% four years ago. HD video is popular because there is more content available than ever and the quality is exceeding user expectations. HD video consumption will most likely reach 50% of all mobile traffic by the end of next year. Another interesting fact that came out of their research is no matter what the content, users value the ability to stream quality HD video over making calls with their mobile device.